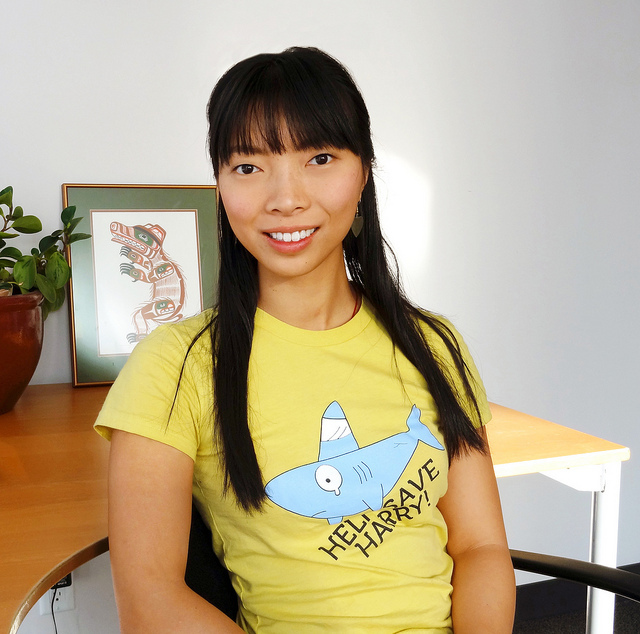 Shark Truth Founder Claudia Li is #2 on our Top 25 Environmentalists Under 25 list. Li created Shark Truth based on her own experiences. She grew up with the cultures tied within her family roots, where shark fin soup was a delicacy and must be consumed if offered to you. As Li attended Simon Fraser University (Burnaby, BC) and learned about the nasty effects shark finning has on marine life, she knew she had to change her ways. She’s done this in a clever fashion – by creating the Happy Hearts Love Sharks wedding contest. This cross-cultural promotion asked engaged couples to pledge to a shark-free wedding. And she’s been largely successful – over 21,000 bowls (as of April 2012) have been diverted. That equals approximately 2,100 sharks! As a marketing major and having acted as the Communications Officer for ForestEthics, Li is able to create a variety of ways to reach audiences. See the video below for details. Congrats, Claudia, for your great accomplishments and for securing #2 on our Top 25 list! Victoria Wee is The Starfish's Top Environmentalist Under 25! Pacific Parklands Foundation's Caitlin Hill is #3 on our Top 25 Environmentalists Under 25 list.